Joe loves a good cheese steak but I’ve never actually tried to make one. 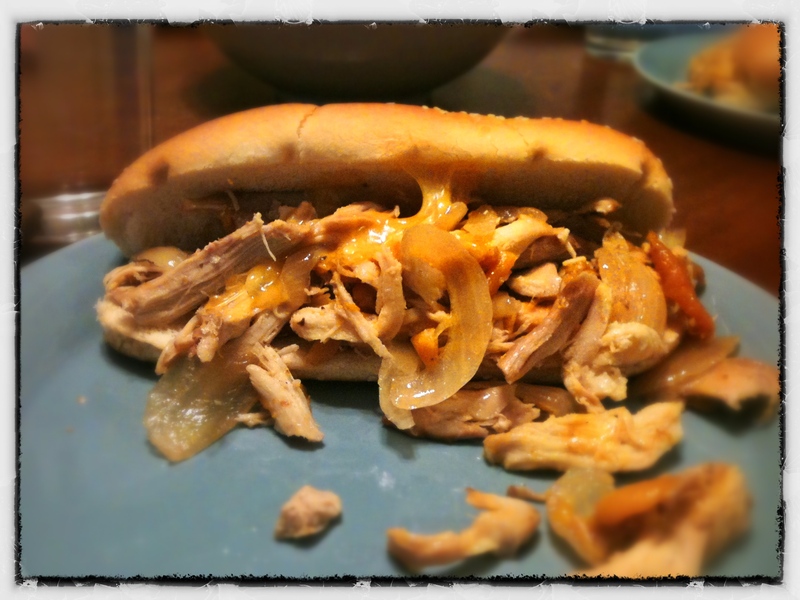 The other day while we were out to lunch and Joe was eating a Chicken Cheese Steak he suggested that we might be able to make chicken cheese steaks in the slow cooker. I accepted his challenge and set out to create an easy recipe. I used on-the-bone chicken thighs but you could probably use any cut of chicken. I liked the darker meat because it holds in the moisture a little better than white meat but I might try boneless chicken breasts next time. Joe approved of my slow cooker recipe and so did the boys! I served sweet potato fries with our cheese steaks, not a very healthy meal but a delicious one! Put Chicken, Worcerstershire Sauce, Wine, Onion, Peppers, Salt and Pepper in Slow Cooker. While cheese is melting toast hoagie rolls in the oven for a few minutes. This sounds so yummy!! I am going to make this. It is sort of like a pulled pork. Thanks for the great idea!! 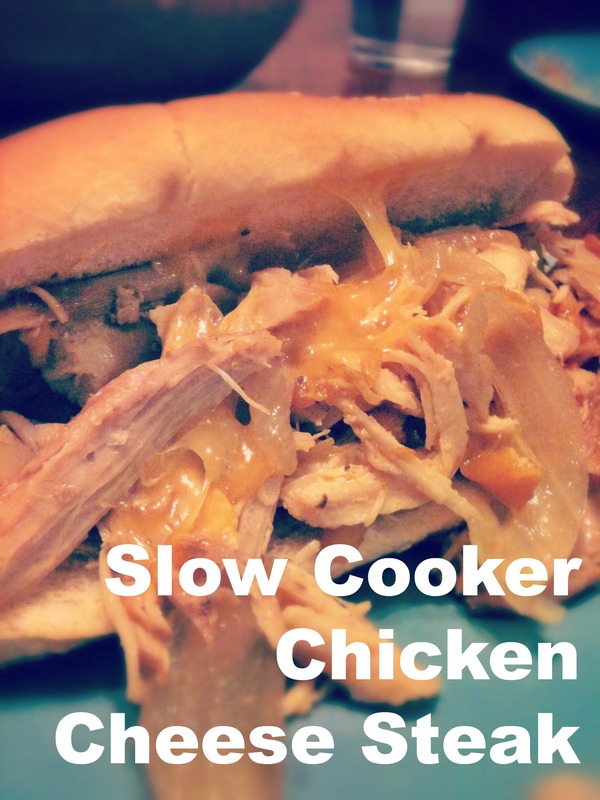 This is a great look recipe I dont make enough chicken in my crock pot. you have inspired me.